Stripe package is not just a straight set strips in a box. Kit consists of prefitted, tapered and contoured pieces that feature a pinstripe as shown. 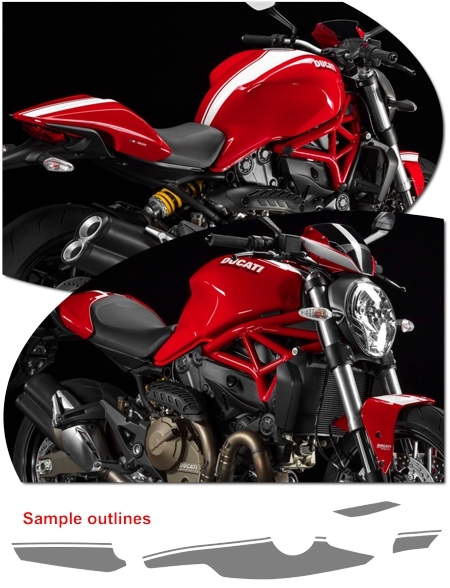 Rally Stripes are specifically fit for the '14-Current Ducati Monster Fender, Windscreen, Tank and Rear Seat Cowl areas of the Monster model shown (usually found on the '15 Monster 821 and 1200). It will not fit any other bike.